Come visit the NEW Daily Corgi Shop! 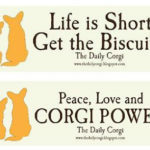 The Daily Corgi’s cafepress.com SHOP! Share your peace, love and Corgi Power with the world, on the go and in style. Look good and do good, too! To celebrate the Grand Opening, through next Sunday (4/25) a full FIFTY percent all T-shirt sales will be donated directly to the wonderful CorgiAid! 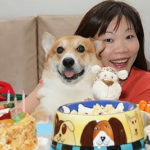 Life is short … get the Corgi goods. Your giving is adding UP! 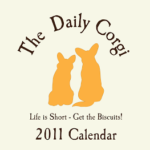 The DAILY CORGI 2011 CALENDAR! How cute! Love the doggie tee shirts!